THERMOS is delighted to present both Marc Rahe as our June blog poet and Rescue Press as our newest best friends in the world of small press. Marc grew up in Pleasantville, Iowa. 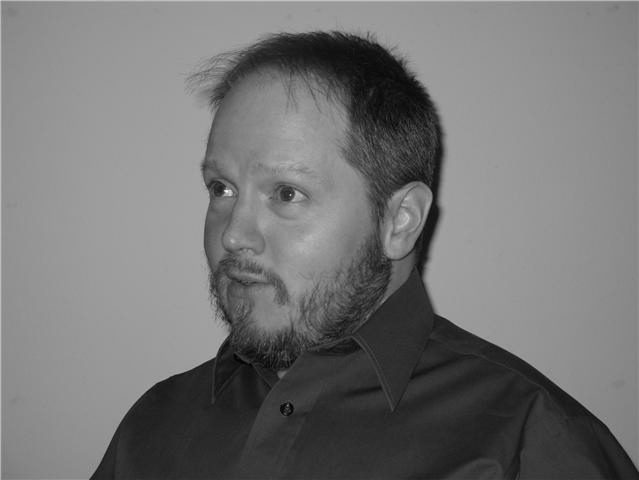 He received an MFA from the Iowa Writers’ Workshop and his poems have appeared or are forthcoming in Gutcult, Ink node, La Fovea, Notnostrums, Painted Bride Quarterly, Sixth Finch, and other literary journals. Marc lives in Iowa City and works for a human services agency. The Smaller Half is his first book. but they didn’t allow smoking on the train. Joanna wept into her hands. This was before the scene at dinner. We should think kindly of her. of maple and birch leaves. would tickle Joanna mercilessly at school. I felt I’d been deliberately embarrassed. makes me feel terrible shame. in tissues in her lap. In the future, Rescue Press is hoping to publish small collections of artwork, comics, compositions, essays, how-tos, interrorgations, poetry, stories, and other calamitous experiements. In the month of July, the editors will hold their first open reading period, and more information on this and other Rescue Press news can be found on their website— www.rescue-press.org— in the coming weeks.